Richard Binzel is a professor of planetary science and joint professor of aerospace engineering at the Massachusetts Institute of Technology, as well as a member of the original “Pluto Underground” that struggled for more than two decades to bring a Pluto mission from dream to reality. Through all the years of planning and conducting the New Horizons mission to Pluto, one thing was certain: we were going to rewrite textbooks based on what we found. And, boy oh boy, Pluto has not disappointed! 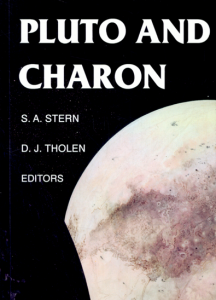 Plans are now underway to rewrite the granddaddy textbook of them all, “Pluto and Charon,” a scientific compendium of chapters covering everything known about the Pluto system when the book was published in 1997. I was fortunate to be one of the 50 collaborating authors (practically the entire Pluto community at that time) who came together to publish this volume as part of the Space Science Series of the University of Arizona Press. Planetary scientists Alan Stern (Southwest Research Institute) and David Tholen (University of Hawaii) edited “Pluto and Charon,” which, more than any other work, helped us to set our science objectives for New Horizons. I’m familiar with Space Science Series textbooks at all levels, having become general editor of the series in 2000 and producing 10 volumes so far. (My predecessor and series founder, the late Tom Gehrels, prolifically produced 30 volumes.) These books are not for the faint of heart! Each is written for the level of a beginning graduate student who has completed at least a bachelor’s degree in physics, chemistry, planetary science or other intersecting field. My job as general editor is to carefully select the individual book editors and challenge them and their chapter authors to write what we know, how we know it, and where we are going in the future. As a member of the New Horizons team, I am pleased that we are able to announce a new Space Science Series book, “Pluto After New Horizons” (as we are informally calling this sequel), that will begin taking shape in 2018 with a target publication date in 2020. That may seem like a ways in the future, but to those of us trying to make sense of all that the New Horizons data are telling us, that date seems to be coming way too fast. Mission Principal Investigator Alan Stern will again head the editing team and I will be joining him, with additional editor slots to be named later. The challenge to construct “Pluto after New Horizons” is daunting. We have to discern and decode, as best we can, what the massive returned data set is telling us. In fewer than 30 chapters we have to cover topics ranging from the interior of Pluto and its surface processes, to its atmosphere and its near-space environment. And we can’t ignore Pluto’s largest moon, Charon, and the system of smaller satellites Styx, Nix, Kerberos and Hydra, who each need their story told. With no mission to Pluto in the immediate forecast, the foundation of knowledge we build into this book will probably reign for decades. 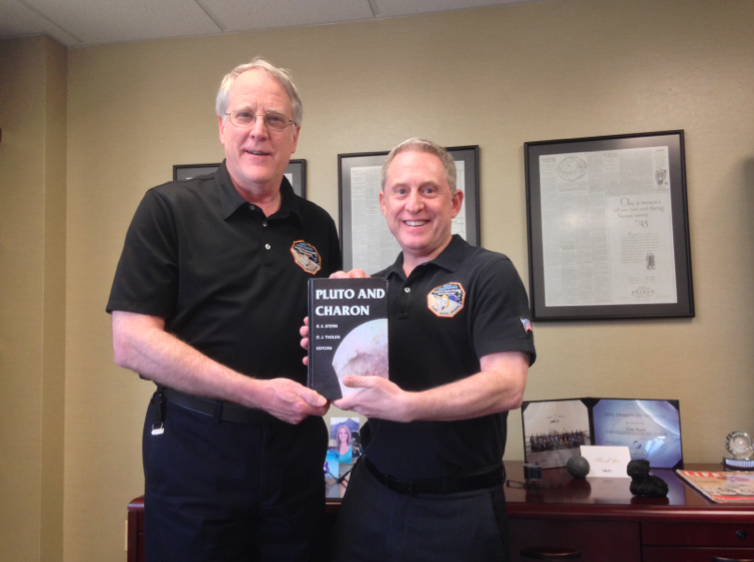 And just as “Pluto and Charon” in 1997 was the scientific foundation upon which mission plans were built with New Horizons as the capstone, we hope to make “Pluto After New Horizons” a textbook that lays the cornerstone for what will become the next era of Pluto spacecraft exploration.